A terraced house located in a walkway position offering scope for further modernisation and improvement. The property enjoys first floor views across the valley and is situated close to local shops, 'Downley Common' and within catchment of desirable local schooling. 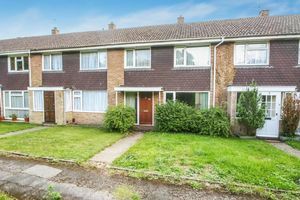 Entrance hall, living room, dining area, kitchen, landing, three bedrooms, shower room, gas c/h, double glazing, gardens, no onward chain. Stairs rising to first floor, understairs storage cupboard, radiator. Double glazed window to rear aspect, radiator, parquet flooring. Wall and base level units with roll-edged worksurfaces, sink unit and drainer with mixer tap, tiled splashbacks, electric hob with extractor hood above, space and plumbing for washing machine, tiled floor, double glazed window to rear aspect, double glazed door to rear garden. 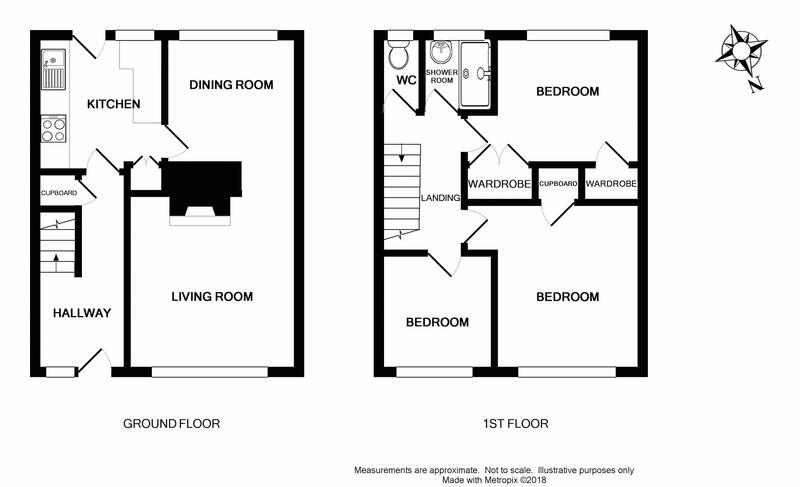 Access to loft space, doors to bedrooms, bathroom and WC. Built-in wardrobe cupboard, double glazed window to front aspect, radiator. Radiator, double glazed window to rear aspect enjoying far reaching valley views, airing cupboard housing hot water tank and slatted shelving, built-in wardrobe cupboard. Radiator, double glazed window to front aspect, built-in double cupboard. Double shower cubicle with wall mounted shower, hand wash basin, ceramic splashback tiling, double glazed window to rear aspect, radiator. Low-level WC, double glazed window to rear aspect. To the front the garden is open plan with an area laid to lawn, pathway to front door. The rear garden comprises an area laid to lawn, variety of shrubs and flower beds, two brick built storage sheds, gate at the rear providing access to service road and garage. Up-and-over door, light and power, door to garden.